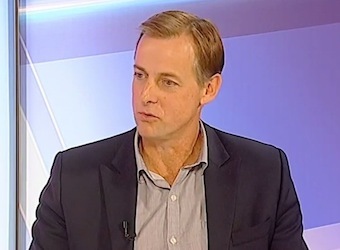 Suncorp’s marketing chief Mark Reinke says marketers must put themselves in the shoes of the shareholders to understand demands for growth, in the first episode of a new marketing TV segment on Sky News Business. “Shareholders are looking for two things: one of them more ‘today’ and one of them more ‘tomorrow’. “They’re looking for growth in earnings. If you’re not growing your earnings, you don’t get a lot of love from shareholders. From a marketing perspective we have a lot of levers, but predominantly we focus on volume and value and trying to maximise those. “From a ‘tomorrow’ point of view, what we need to be able to show is earnings through the cycle, that we’ve got good strong cash flows no matter where the economy goes, and in particular to make sure that we’ve got sustainable brands and business models so that we’re not going to be disrupted. “Shareholders are looking for ‘today’ and for ‘tomorrow’ and marketers can make a big difference on both,” Reinke says in the 12-minute video, below.